Do you care whether your vote is counted? Do you care whether the deed to your house is secure? Do you care who has access to your confidential records? Do you care that person in charge of these things is experienced enough to manage them? I care. I'm experienced. I understand why you care. In my years as Chief Deputy Clerk/Recorder in Yolo County, I have administered only successful elections, elections that were smoothly run and undisputed. As your elected Clerk/Recorder, I will continue the efficient process that you expect. 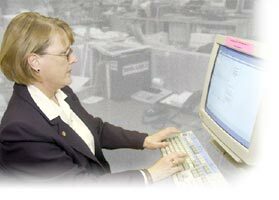 As Chief Deputy Clerk/Recorder I have supervised technology advances in the Recorder's office that increase the efficiency with which property documents are recorded and filed. I have fought in the California Legislature and statewide to ensure that these important documents are recorded and filed in a secure environment. As your elected Clerk/Recorder, I will continue to upgrade the Recorder's office, and I will work to guard the security of the records stored there. As your elected Clerk/Recorder, I will stand up to the individuals and interest groups who don't respect your privacy. As Chief Deputy Clerk/Recorder, I have been responsible for every aspect of the work of these offices. I have gained invaluable experience in the policies and procedures by which we serve you. As your elected Clerk/Recorder, I will continue the serious administration of these vital functions. I understand why you care. Your vote is important. You deserve to have your vote counted in a nonpartisan atmosphere by an experienced, well-organized County Clerk. If you are a homeowner, or want to be a homeowner, the deed to your house may be your most valuable document. You deserve to know that documents concerning your home are recorded, filed and secured by an experienced County Recorder who will work at every level to keep those documents safe and secure from any attempts to access them for unauthorized purposes. You do not want to worry about where your personal information ends up and how it is used. You deserve to know that the confidential information on your Affidavit of Voter Registration is zealously guarded by an experienced County Clerk who knows the election laws and is not afraid to say "no" to people and interest groups. I am the experienced, hard working County Clerk/Recorder that you are looking for. I am Freddie Oakley. I'm asking for your vote on election day.